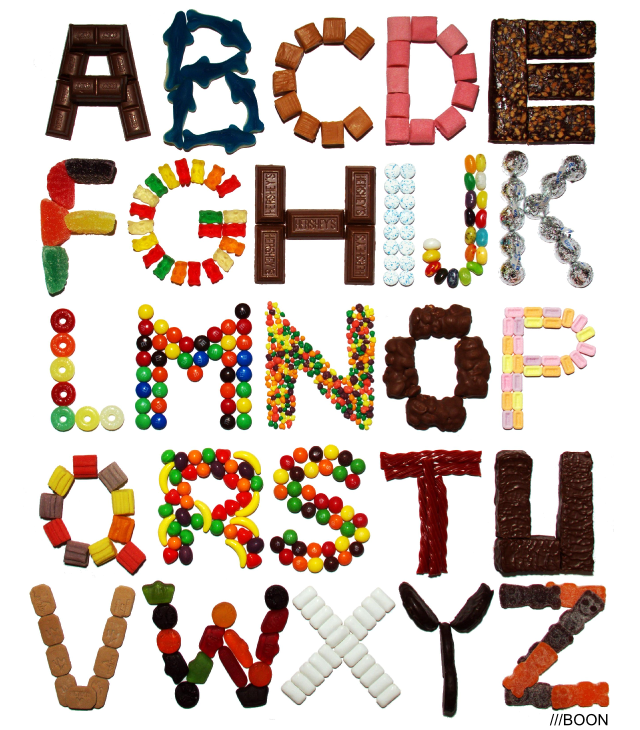 Artist Mike Boon created the delicious Candy Alphabet poster design made up of a collection of name brand candy pieces (each candy brand matches the actual letter it is representing) that will definitely satisfy your sweet tooth. Prints, clothing, iPhone cases and more are available to purchase at Mike’s online Society6 and Redbubble stores. We have previously written about Mike Boon and his great design work.